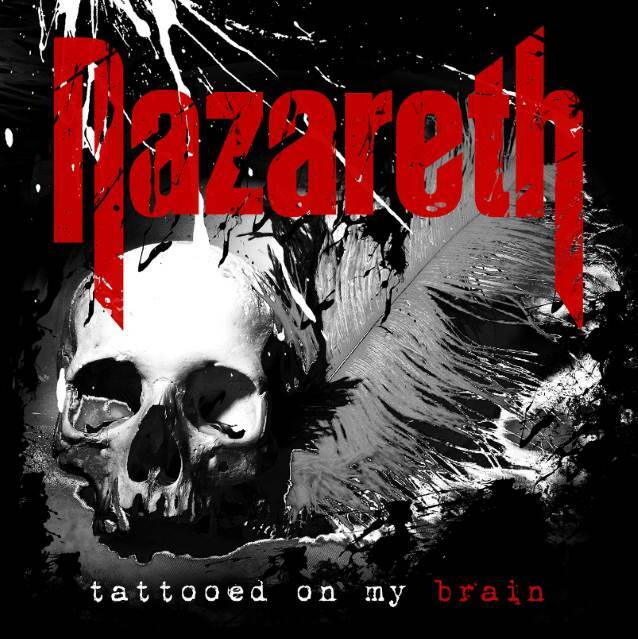 Album: "Tattooed On My Brain"
Δελτίο τύπου: «Celebrating their 50th Anniversary as a band in 2018, Nazareth is marking the occasion with a hard rocking new album, “Tattooed On My Brain”. Scheduled for release on Frontiers Music srl on October 12, 2018, the album will be available on CD, LP, and digital formats. "Tattooed On My Brain" is their 24th full length album and the first to feature new vocalist Carl Sentance (ex-Persian Risk, Don Airey). While it is difficult to sum up in few words the history and the influence on the history of rock that an act like Nazareth has had, there is no doubt that they have left an indelible mark. The band originally formed in Dumferline, Scotland in 1968, releasing their eponymous debut album in 1971. The band broke through to a larger audience when, after supporting Deep Purple on tour, they released the Roger Glover-produced “Razamanaz” album in early 1973. A string of hit records including “Loud 'N’ Proud”, “Rampant”, and their biggest success "Hair of the Dog" (featuring the smash hits "Hair Of The Dog" and "Love Hurts") followed, cementing the band's legacy in the history of hard rock. Nazareth continued on throughout the '80s and '90s, making new studio albums and touring the world.